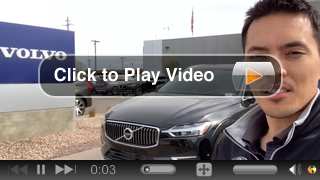 Courtesy Volvo Cars of Scottsdale is happy to bring our Volvo customers a helpful selection of videos that help you get the most our of your new or certified pre-owned Volvo. With the advances in what our Volvo's do, there is never enough time on your first visit to get all the questions answered. Hence we offer Quarterly New Car Clinics and these quick video tutorials on how to get the most out of your new Volvo. These "How to Use your New Volvo" videos will share some basics tips and also some things to avoid doing. Courtesy Volvo of Scottsdale has been awarded a 2019 DealerRater Consumer Satisfaction Award, an annual recognition given to auto dealerships that deliver outstanding customer service as rated by online consumer reviews. DealerRater, the world's leading car dealer review website, created the Consumer Satisfaction Award program to let online car shoppers instantly spot dealers that provide high-quality customer service. Contact Courtesy Volvo of Scottsdale about the all-new 2019 Volvo S60! If you're looking for an eye-catching vehicle, you'll love this sedan! Its profile is both sporty and sophisticated, you won't be missed driving down the road. To top it off, the 2019 Volvo S60 delivers exceptional performance. If you're interested in this impressive vehicle, contact Courtesy Volvo of Scottsdale ASAP! Serving Tempe, Arizona. If you're on the search for a particular part for your Volvo vehicle, contact Courtesy Volvo of Scottsdale. Whether your restoring a classic used Volvo, or are looking for the right auto parts for your new Volvo XC90, S60 Inscription, V90 Cross Country, XC60 or S90, we have what you need. Fill out our online form and request the parts you need! Serving Tempe, Arizona. Thinking about trading in your current vehicle for a new Volvo? Use Kelley Blue Book to receive an extremely accurate trade-in value. Here at Courtesy Volvo of Scottsdale we want to make sure you're receiving a fair offer! If you have any questions, please contact us ASAP! Serving Tempe, Arizona. Thinking about purchasing a new Volvo vehicle? Think about taking part in the Volvo Overseas Delivery Program! Pick up your new Volvo at the Gothenburg Factory Delivery Center in Sweden or any official delivery location in Europe. This is a once in a lifetime experience! Contact Courtesy Volvo of Scottsdale for more information. Serving Tempe, Arizona. If your Volvo vehicle is currently in need of service or repair, visit Courtesy Volvo of Scottsdale. Don't leave your car in the hands of just any service center when you have our team of expert technicians at your disposal. Our highly qualified technicians will know exactly how to fix your vehicle, in a timely manner. Schedule an appointment today! Serving Paradise Valley, Arizona. The newly enacted Tax Cuts and Job Act (ACT) has provided an opportunity to business owners in need of new and used vehicles. For Volvo, this applies specifically to the XC90. Call or contact Courtesy Volvo Cars in Scottsdale for Tax program details. If you're looking to purchase a new vehicle, visit Courtesy Volvo of Scottsdale! There are currently amazing lease offers. Lease a 2018 Volvo XC90 T5 Momentum FWD for under $449 a month! You can't beat these impressive deals, visit Courtesy Volvo of Scottsdale today. Serving Paradise Valley, Arizona.